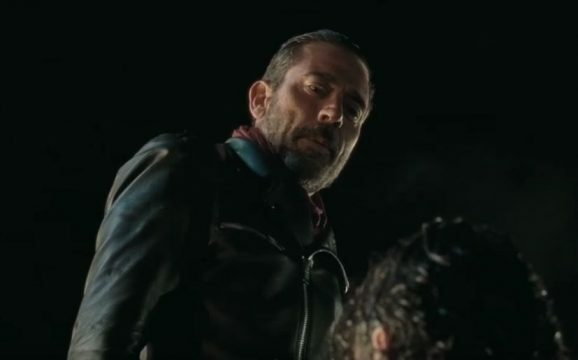 AMC plans to keep the identity of Negan’s victim in The Walking Dead secret for as long as possible. It’s no surprise that showrunners would want to retain the mystery until the season seven premiere – even if many fans were disappointed by that fateful season six cliffhanger. The network is even considering legal action toward an eager group of spoilerhounds if they don’t stop blasting the web with theories and set photos. Again, that’s no surprise. But this latest update on the whole matter is something else entirely. As the folks at Screen Crush point out, this quote is a little perplexing because of the tense used. Does this mean that it’s not yet been decided? What about the fact that season seven is currently in production? It raises a lot of questions that go unanswered in the rest of the article, and it’s safe to say that we won’t find out with certainty until The Walking Dead returns in October. What this also means is that somewhere in the AMC vaults exists footage of Andrew Lincoln, Chandler Riggs, Danai Gurira, Lauren Cohan, Steven Yeun, Norman Reedus, Josh McDermitt, Sonequa Martin-Green, Ross Marquand, Christian Serratos and Michael Cudlitz all getting their brains smashed in by Jeffrey Dean Morgan’s villain. That would make one hell of a special feature on the season seven Blu-ray.